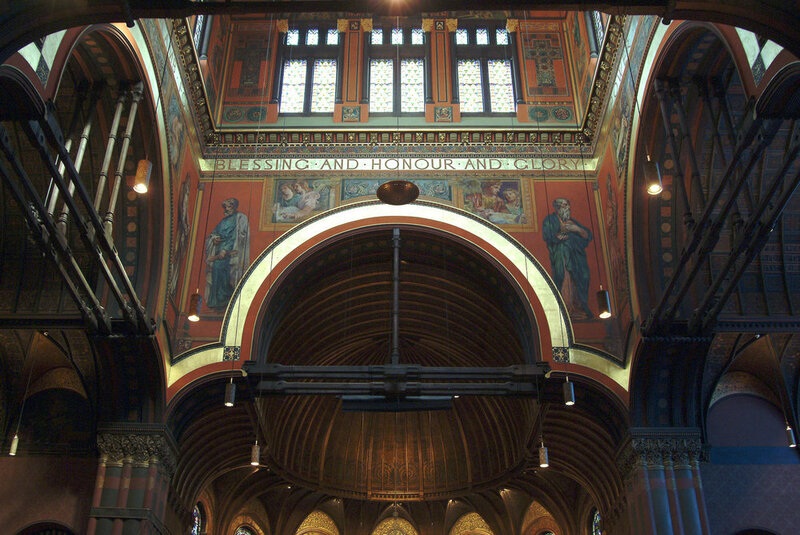 John Canning Co. was hired by the church to provide design assist services, including finish investigations and consultation services for the fine and decorative artwork in the church’s Central Tower, featuring original artwork designed and executed by John LaFarge. LaFarge employed other talented artist of the time including Maynard, Lathrop, Saint-Gaudens, Millet, Champney, Clark, and Daniel Cottier. The building was designed by H.H. Richardson, whose work gave rise to the unique American architectural style, Richardsonian Romanesque. 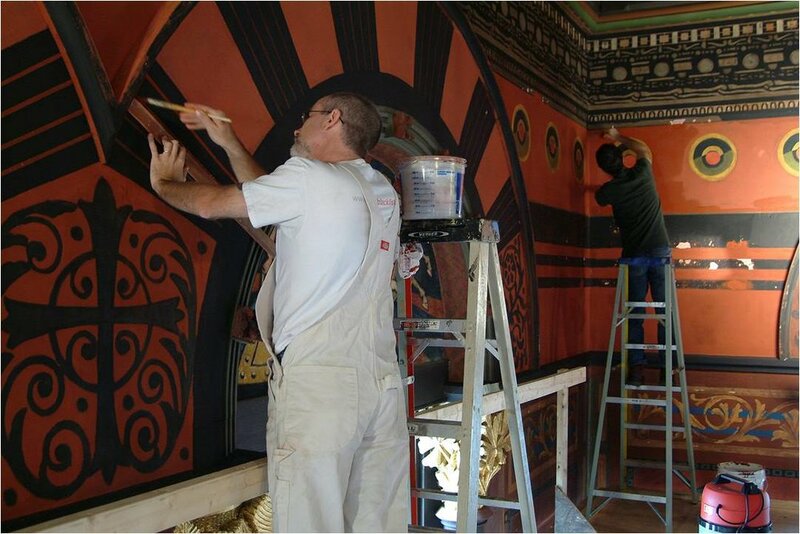 Our scope of work included plaster repair & consolidation; developing conservation cleaning agents and methodology for the conservation of La Farge’s encaustic paint; color matching and in-painting; and reinstating decorative artwork with stenciling, lining, lettering, and gold leafing.